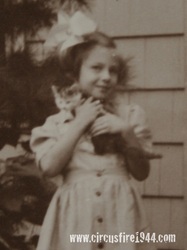 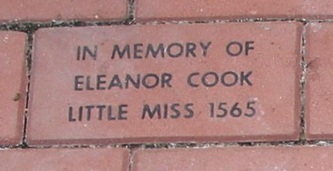 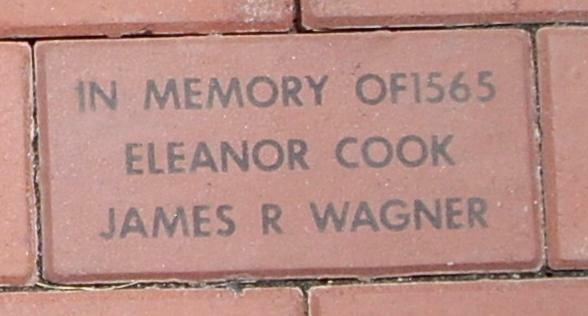 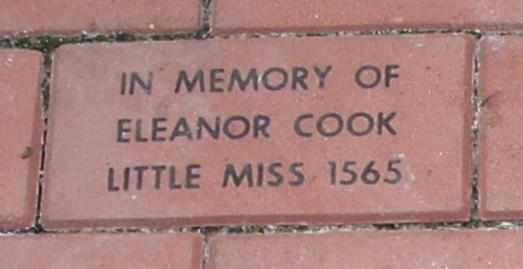 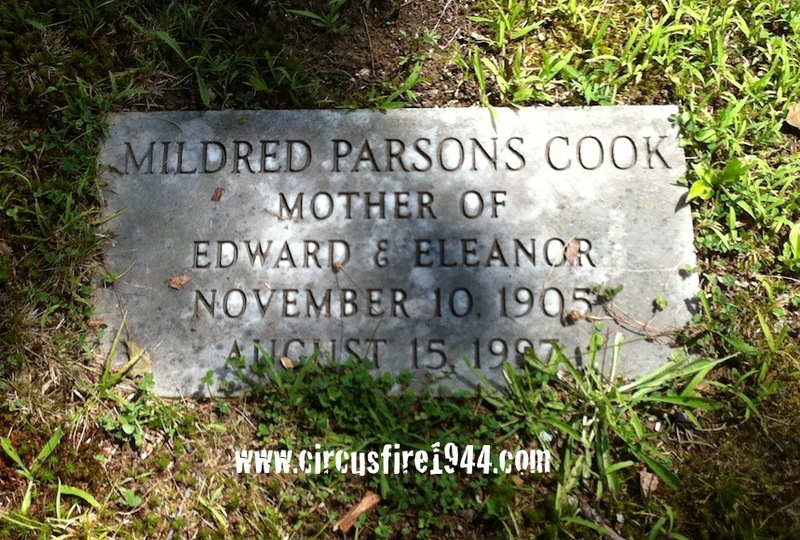 Eleanor Emily Cook of 202 East Street, Southampton, Massachussetts, was born March 17, 1936 in Manchester, Connecticut, daughter of Southampton native Mildred Corinthia (Parsons) and Winsted Connecticut-born Wesley Wells Cook. 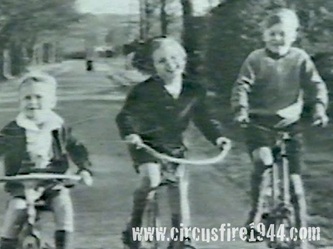 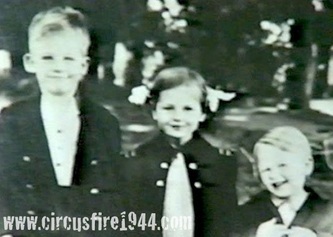 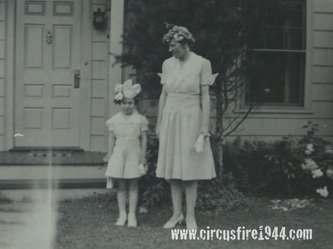 Eleanor attended the circus on July 6 with her mother Mildred and brothers Donald, 9, and Edward, 6. 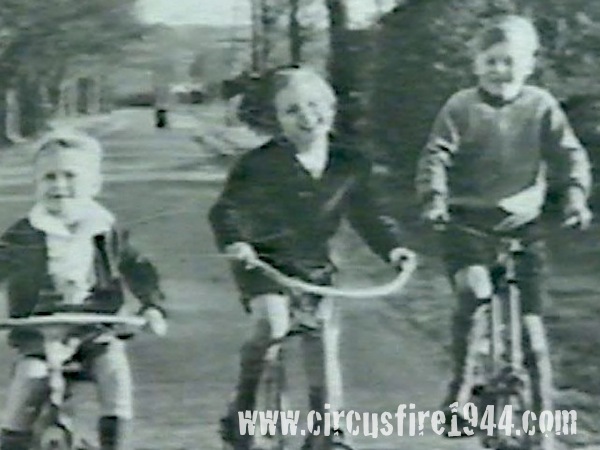 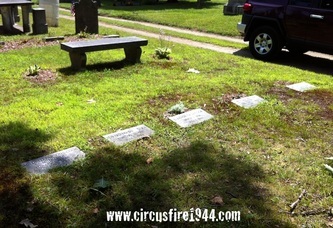 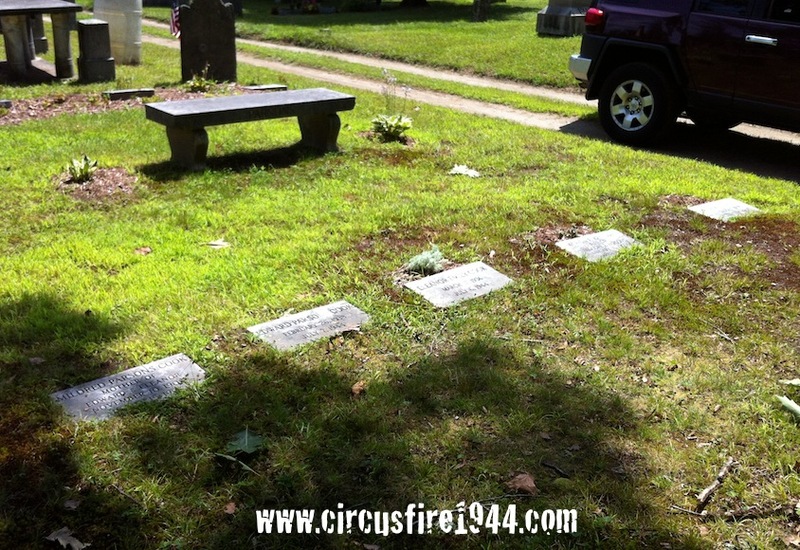 Mildred and Donald survived the fire, Edward died the next day, and Eleanor was assumed to have died in the fire though her body was not identified at the time. 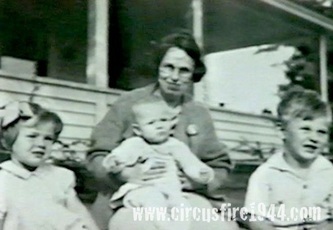 Eleanor leaves her mother Mildred, 38, her brother Donald, and her father, Wesley, 45, who was estranged from the family. 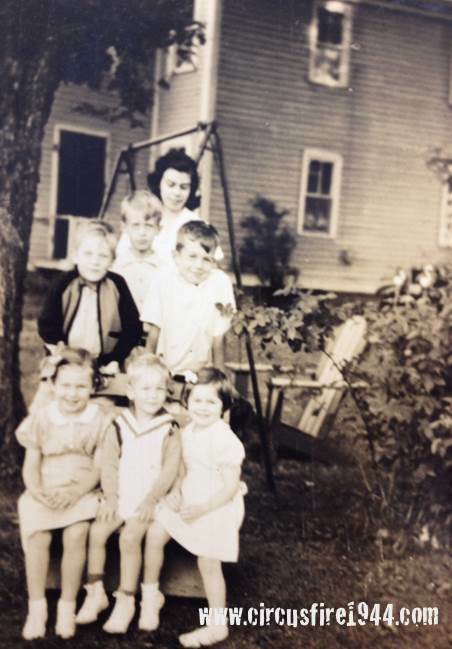 Eleanor and her siblings were visiting with their mother at her home at 4 Marshall Street, Hartford, and enjoying summer vacation activities with her while she had some time off from her work at Liberty Mutual. 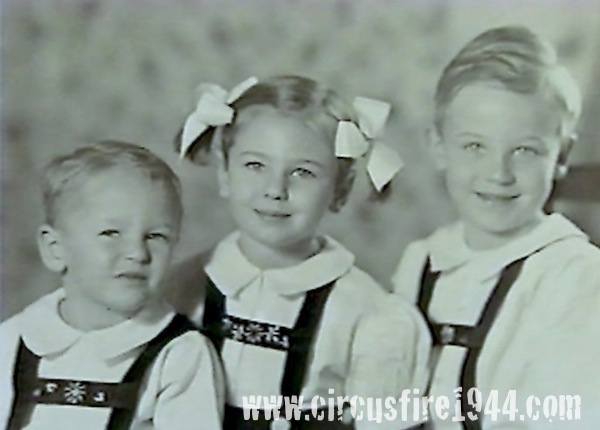 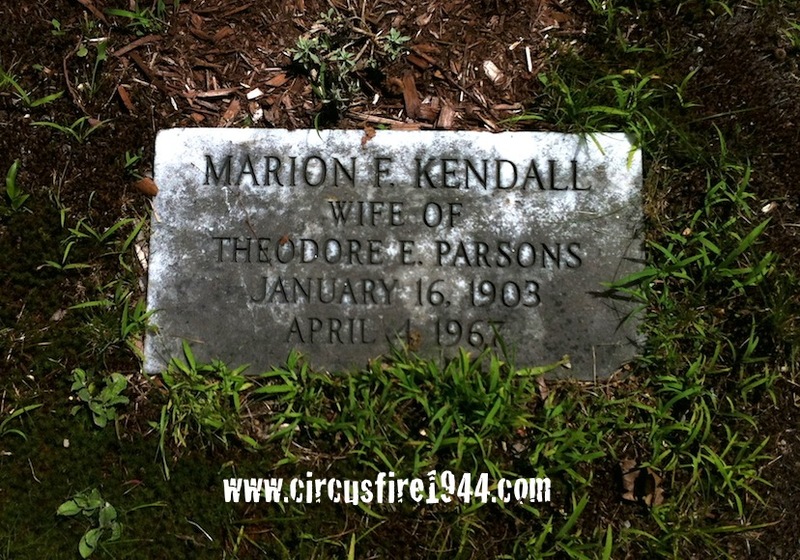 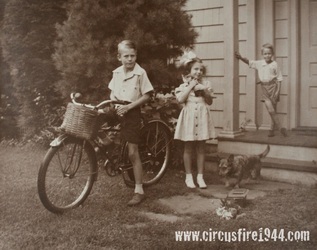 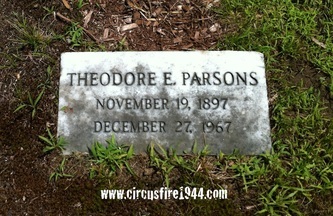 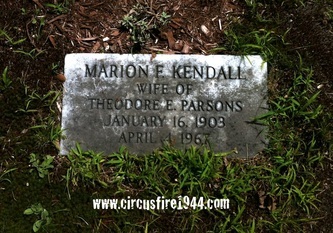 Mildred and her husband separated in 1943, and Mildred moved herself and the children in with her brother Theodore "Ted" Parsons and his wife Marion. Arrangements were made for Ted and Marion to raise the children in a proper family setting, and Mildred moved to Hartford to work and earn money, hoping eventually to be able to support her children on her own. 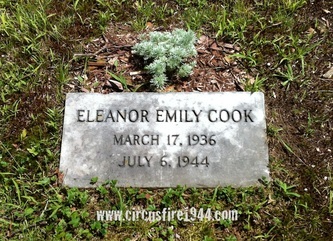 Eleanor's estate was awarded $7,000 by the arbitration board. 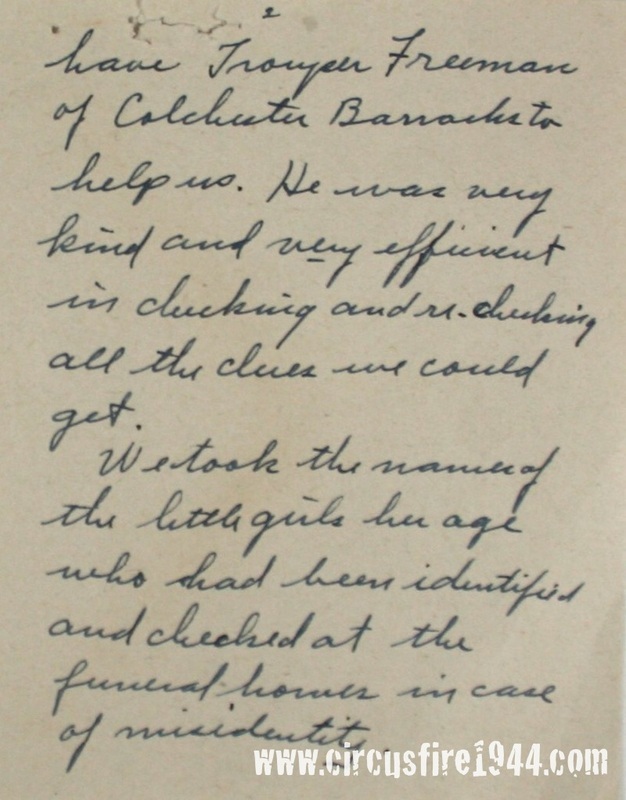 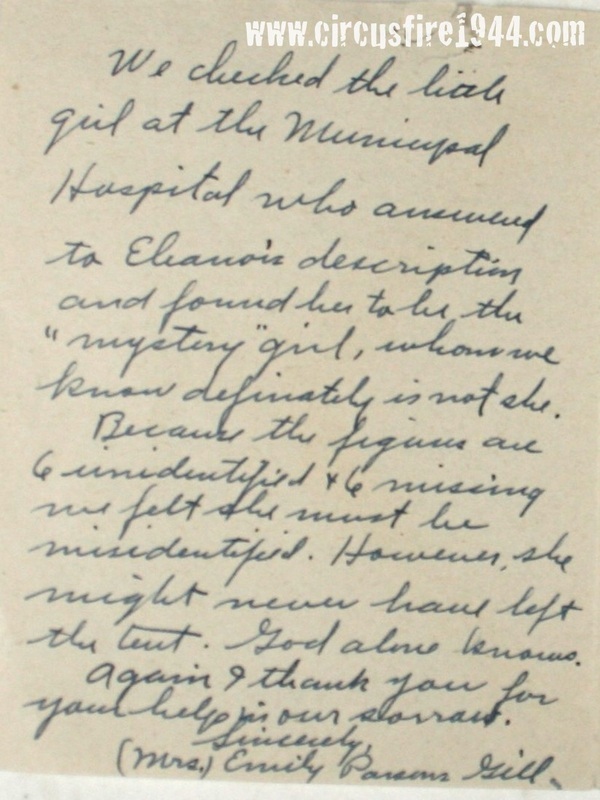 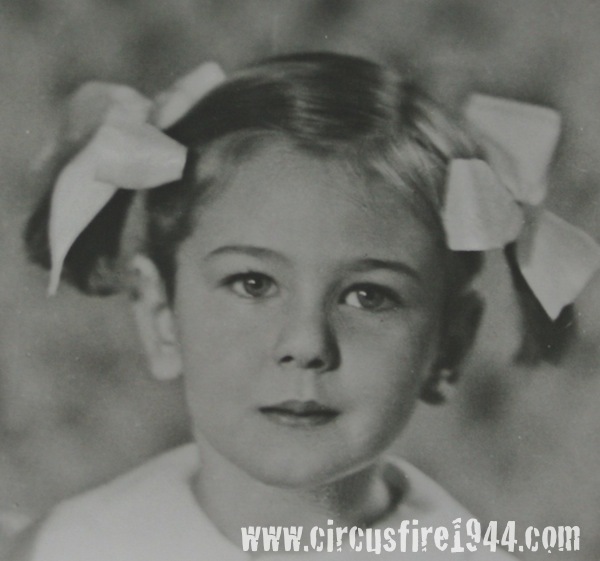 Eleanor's aunt Emily (Parsons) Gill described her niece in July, 1944 for those searching for her: 8 years old, height 4'-4", "tall for her age", light brown hair, blue eyes, and wearing a red and blue plaid playsuit, red socks and white summer shoes. She was also sure that Eleanor had 8 permanent teeth. 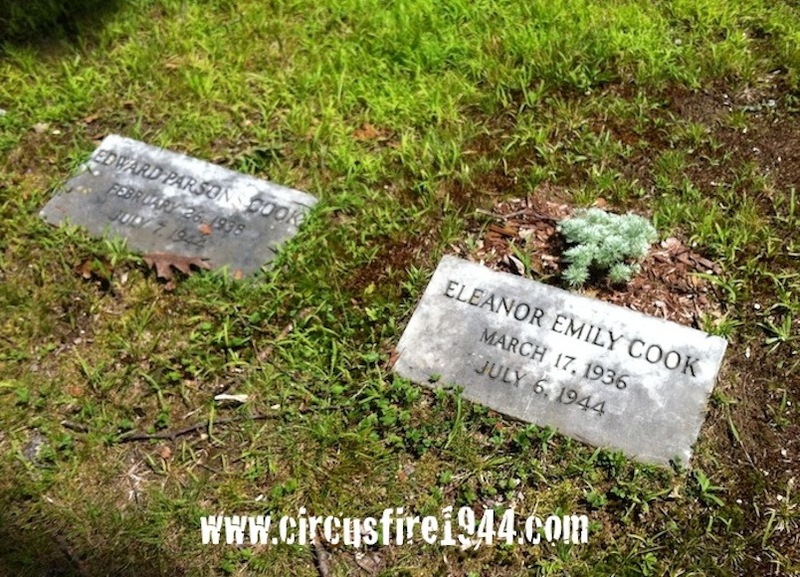 Emily viewed the body of 1565 multiple times on July 6 and 7 and concluded that 1565 was not Eleanor. 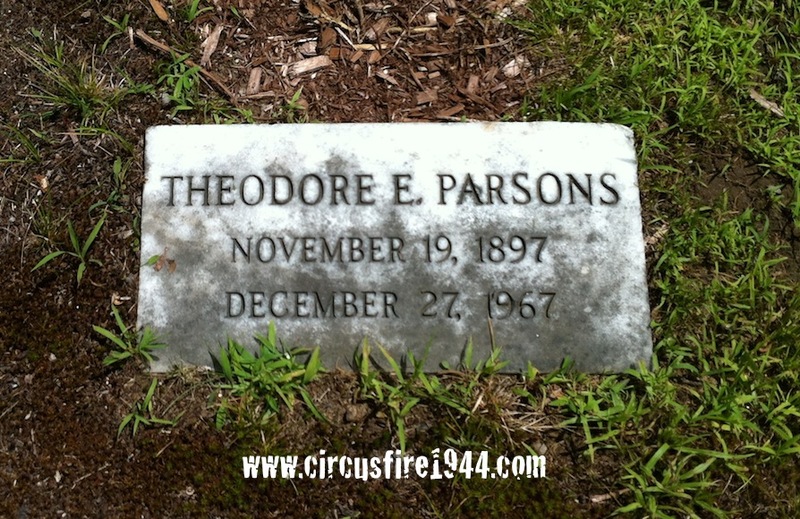 Ted Parsons viewed the body as well and agreed with his sister that 1565 was not their niece. 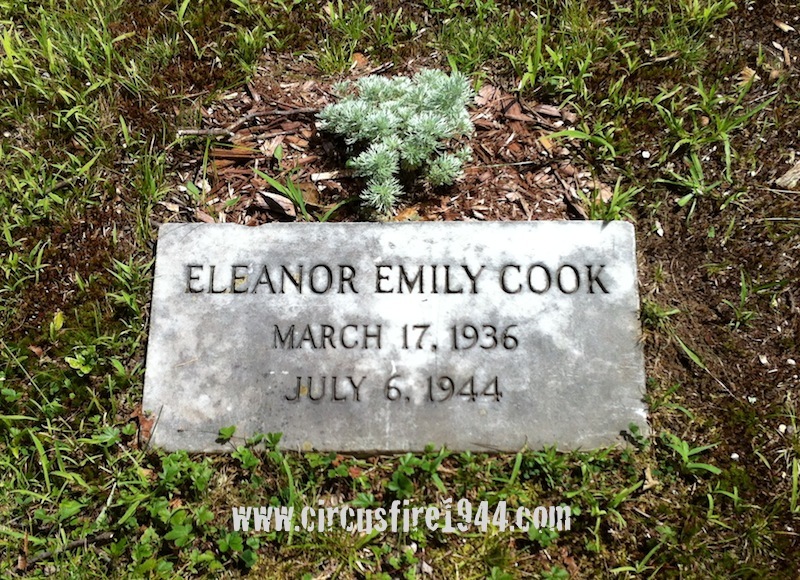 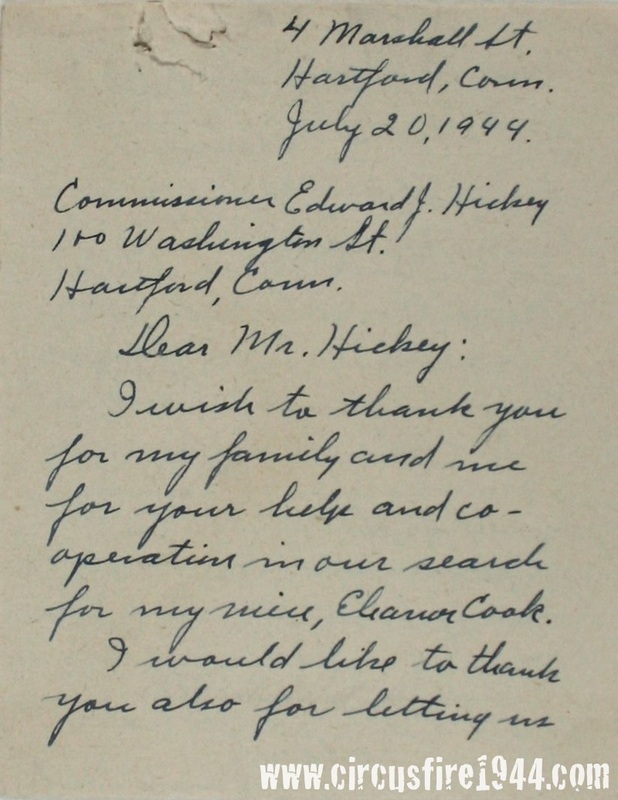 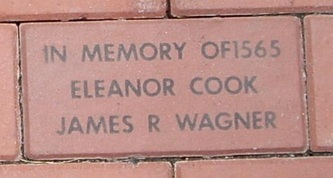 Connecticut State Police had their forensic laboratory compare combings from Eleanor's hairbrush with hair samples from 1565 and determined that the hairs matched and may have been from the same person. 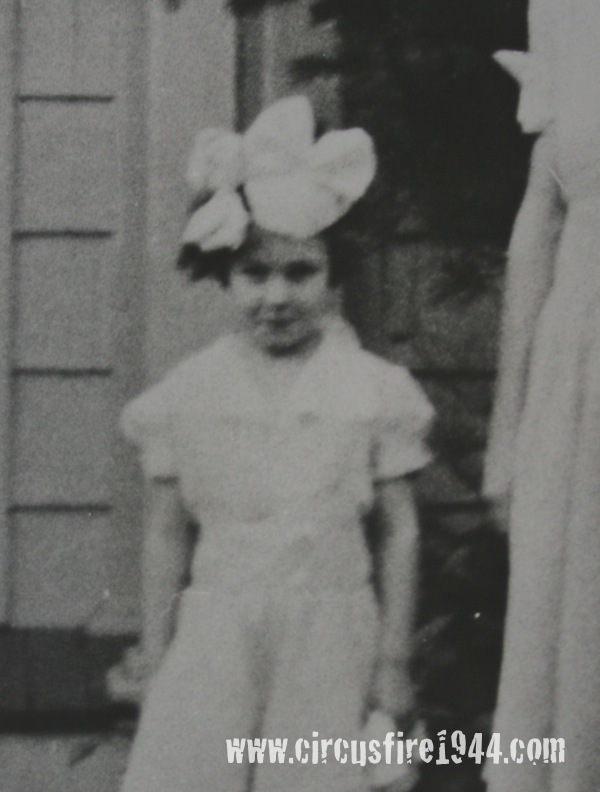 In 1991 it was declared that body #1565 was Eleanor, despite the fact that the body was approximately 6 years old, 3'-10" tall, had only 2 permanent teeth, and was wearing a flowered dress and brown shoes. 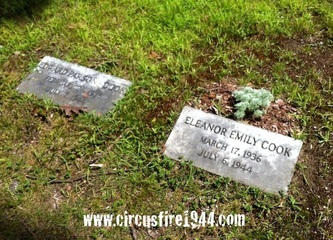 The body was exhumed from Northwood Cemetery in Hartford and reburied at Center Cemetery in Southampton, next to Eleanor's brother Edward. 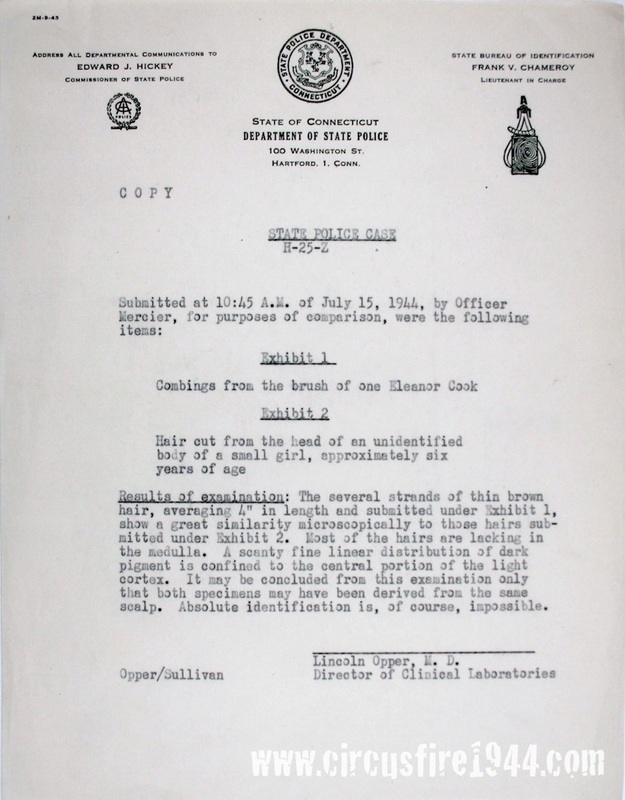 Letter from the Clinical Laboratories of the State Police stating that combings from the brush of Eleanor Cook match the hair cut from the unidentified body (presumably 1565).